The Introduction to Data Science (IDS) professional development (PD) for new IDS teachers follows a modified version of the SCALE Immersion Immersion Model for Professional Learning (SIMPL). In the IDS version of SIMPL, teachers immediately assume the role of learners to understand key statistical and computational concepts embedded in the curriculum, including the Data Cycle. After engaging as learners, they resume their role as teachers to reflect on content and pedagogy through their teacher lens. Inquiry and the utilization of strategies designed to encourage all students to actively participate are emphasized. A key component of IDS is students collecting their own data using their own wifi- enabled mobile devices and/or internet-connected computers. Students learn to code in the statistical language R (implemented via the interface of RStudio) in order to visualize, summarize, and model data, and to answer questions about real-life processes through interpreting their own analyses. Teachers actively participate in the PD as learners in order to have the same experience as their students. In year 1, teachers engage in nine days of PD, with a focus on implementation of the IDS curriculum, which comprises lessons and RStudio labs. In year 2, there are four days of advanced IDS PD that emphasize continued development of data analysis, RStudio skills, and a deeper dive into IDS concepts. Since 2011, cohorts of LAUSD high school math, science, and computer science teachers have attended the summer institutes designed by the Mobilize grant to learn to use the participatory sensing (PS) methods, tools, and materials to deepen their knowledge of computer science (CS) concepts and to support student CS, math, and science learning. Between 2015 and 2018, IDS expanded from a pilot program of 10 implementing teachers at LAUSD to 30+ schools in seven Southern California public school districts, and continues to expand annually. 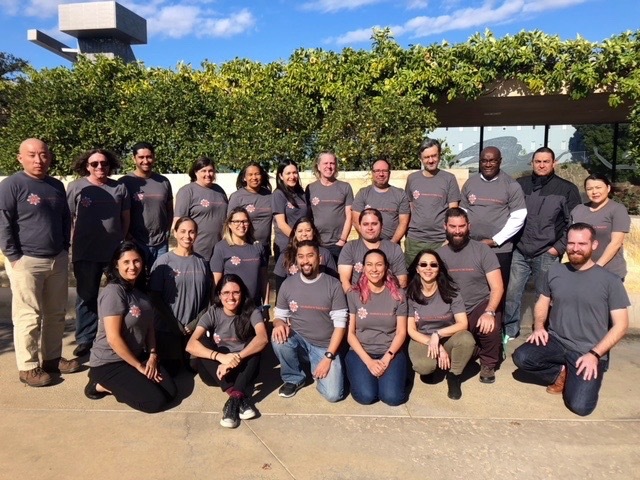 While mathematics and science teachers in LAUSD continue to teach the Mobilize Algebra and Biology curricula, as of 2018 the PD offerings are focused solely on training teachers (veteran LAUSD IDS teachers, and new teachers from other districts in California) on a fee-for-service model through UCLA’s Center X. For more information, see the IDS Partnership page on this website. These data are relevant to the everyday lives of students because (a) harm can come to them if they’re not aware of how these data are used; and (b) they have the tools to use these data themselves for their own purposes. IDS exists to bridge the gap among “participatory sensing” data, “professional” data and “Big Data” so that students can learn to employ tools to gather data about their own communities. IDS is built upon on a groundwork of statistical and computational thinking tools. Together, statistical and computational thinking provide students with strategies for thinking critically about data, making decisions based on data, revealing patterns, and understanding about the world through data. It is important for teachers to realize that they most likely have not been taught these skills in their own undergraduate education, as very few institutions teach these topics to undergraduates; and while data science skills overlap with mathematical or scientific thinking practices, they are distinct in that a) computers have made it possible to work with multi-variate data (i.e,. a data set containing 26 variables), and b) IDS training is about helping teachers to make connections between data and their own classrooms. It is important for teachers to realize that they most likely have not been taught these skills in their own undergraduate education, as very few institutions teach this to undergraduates. It is also important to realize that they are not all that different from mathematical and scientific thinking practices, and so not a big stretch. But they are different, and the Mobilize training is about helping teachers to make connections between data and their own classrooms.